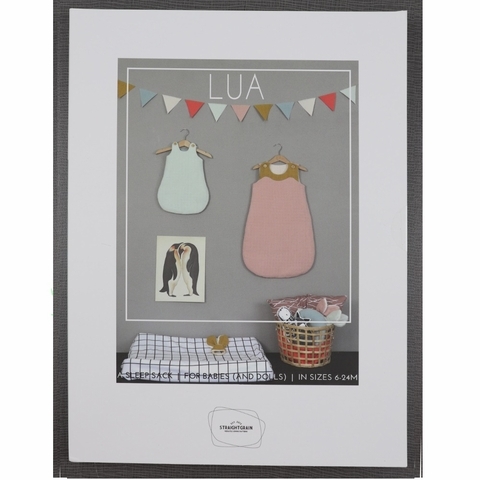 Lua is a pattern designed to make a simple and beautiful sleep sack in no time. The front panel consists of two parts, so that you can add decorative piping, or colorblock. The hidden zipper is at the side, so that the front is not sullied by it, and all the attention goes to the fabric. The detailed instructions help you sew on the buttons the safe way. All sizes of the pattern have been tested thoroughly by over 40 lovely testers.